Steven Denney is an Asian Institute Doctoral Fellow at the Munk School of Global Affairs and Public Policy and an Associate in the Innovation Policy Lab, both at the University of Toronto. He is completing his PhD in the Department of Political Science (winter 2019 expected). 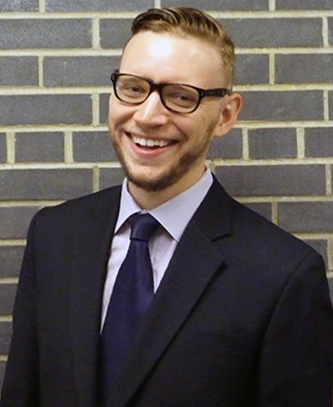 With a core research interest in the relationship between institutions and preferences, Steven’s research focuses on variations in identity, attitudes, and behavior in post-autocratic and transitional societies. He is currently completing his dissertation on the contemporary national identity of South Koreans and resettled North Korean defector-migrants. The research explores whether socialization experiences under differing political and social institutions affects individuals’ preferences for national inclusion. Democratic political and social institutions should engender more open and inclusive notions of national nationhood, but does “growing up democratic” (or autocratic, for that matter) make a difference? Steven also conducts research, consulting and policy analyst of innovation and growth policy in Canada and East Asia with co-chairs of the Innovation Policy Lab, Professors David Wolfe and Danny Breznitz. With funding from a multi-year Mitacs grant, Steven is currently building a linkable database of interviews and surveys with innovation-based technology firms. The overarching objective of the research is to assess the cultural, institutional, and policy factors that affect the ability of firms to scale. The geographic scope of the project includes Canada, the United States, and East Asia. To date, the research includes more than 100 firm interviews. Steven is one of the senior editors for SinoNK.com, a research site for Koreanists and Sinologists working in the digital humanities and social sciences. Between 2011-2013, he was the editor-in-chief of the Yonsei Journal of International Studies and worked at the Asan Institute for Policy Studies (Seoul) as an editor and Young Scholar. Steven also studied Korean at Seoul National University and Sogang University. His MA thesis used theories of the developmental state to (re)examine early state and national formation in 19th century America, focusing on national projects such as canal digging and national roads. Follow him on Twitter @StevenDenney86 or find him at LinkedIn. Contact him via email at: StevenCDenney@gmail.com.